Due out in 2018. Open beta set for February. 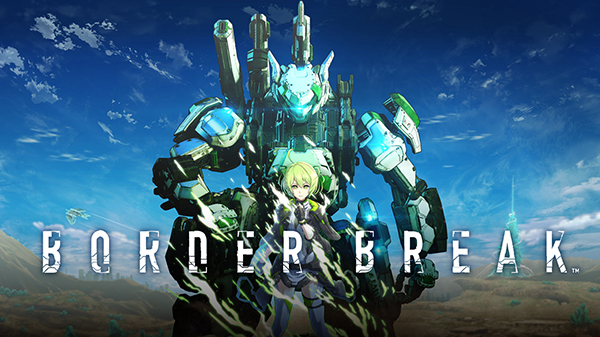 Sega is bringing its 2009-launched robot action arcade game series Border Break to PlayStation 4, the company announced during its Border Break New Project Presentation Held in Japan today. Simply titled Border Break, it will launch in Japan as a free-to-play download title with item-based micro-transactions in 2018. A physical version with extra bonuses will also be released. An open beta, playable even without a PlayStation Plus subscription, will be held in February. Assault Weapons – Expand the front lines with high mobility. Heavy Fire Weapons – Pulverize enemies with overwhelming fire power. Raid Weapons – Overthrow the battlefield in response to any situations. Support Weapons – Supports allies from behind the scenes with search and repair operations. Story Mode – Expands the world of Border Break. Hati (voiced by Reina Ueda) – The protagonist burning with revenge. Mikoto (voiced by Rie Takahashi) – The operator that supports the team. Managar (voiced by Shunsuke Takeuchi) – The powerful ace that blocks your way. Other unique characters will appear in large numbers. Popular illustrators are also participating in their creation. Beginner Match – Player-versus-CPU battle. Casual Match – Casual player-versus-player battles without rank changes. Ranked Match – Player-versus-player matches with rank changes based on the outcome and activity in battle. The opening theme song is being done by “SawanoHiroyuki[nZk],” which is the vocal project by composer Hiroyuki Sawano. Watch the announcement trailer below. View the first set of screenshots at the gallery. Visit the teaser website here.